Netflix has been very careful of their "original" series, producing very high quality TV series such as House of Cards and Orange is the New Black, all of which have been hailed as groundbreaking, 'must-see' TV. 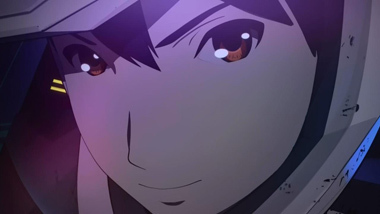 So it should come as no surprise that their first foray into anime is equally visionary. 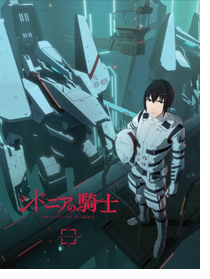 While Knights of Sidonia was not directly produced by Netflix, it was selected for "exclusive streaming" by Netflix's content (i.e, intellectual property) staff. And in short, it's a winner. 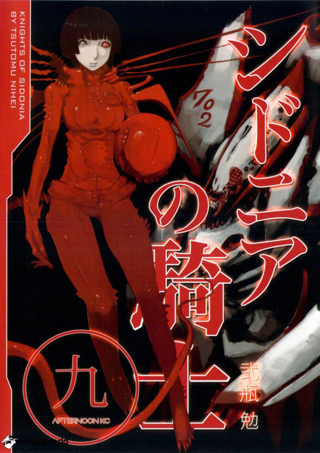 It hits all the right buttons, combining the giant-robot genre with the old "lost-in-space/earth-destroyed/we're-living-in-a-giant-spaceship" that made the classic Megazone 23 a big hit in the 1980's, as well as being totally survival-driven, as everyone's aware that even the slightest mistake can mean the end of humanity. 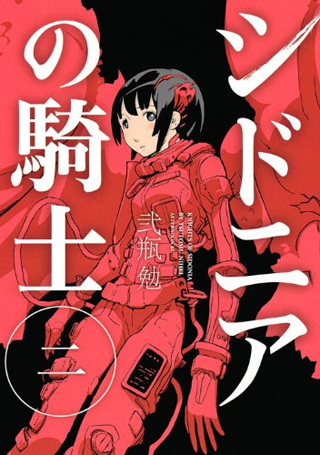 The story follows the exploits of Nagate Tanikaze, who has lived in the underground layer of Sidonia since birth, and was raised by his grandfather. 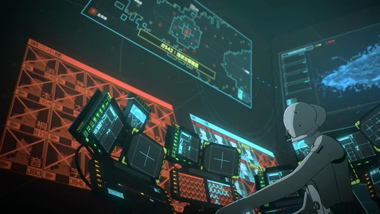 Never having met anyone else, he trains himself in an old Gardes (giant robot) pilot simulator every day, eventually mastering it. 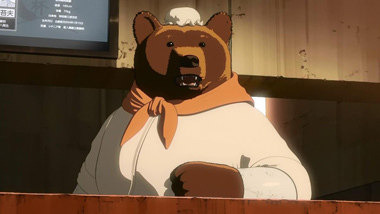 After his grandfather dies and he runs out of food, he attempts to steal some rice from a food production machine, only to be captured by the staff of the machine. 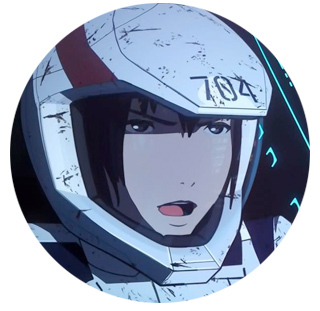 It is immediately recognized by the authorities that he has piloting abilities and the Captain of Sidonia herself asks him to be a pilot. 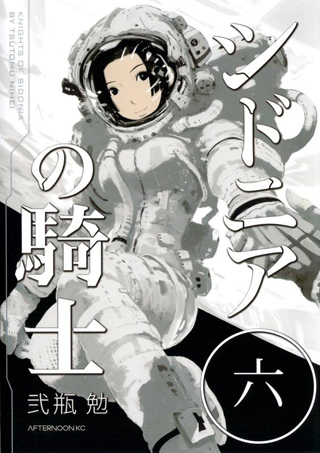 While they have not been attacked in 100 years, Sidonia's pilots are always training for an attack by the Gauna, which are huge creatures that can survive natively in space, but also shapeshift and take many forms. They are notoriously difficult to kill, as their 'core' is protected by a huge mass of almost impregnable material called 'placenta' which can ONLY be pierced by a spear made of 'Kabizashi' (which is essentially Unobtainium, in that there isn't much of it). Once the core of the creature is destroyed, the rest of the Guana disintegrates. 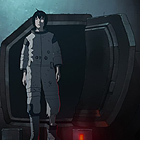 The series has a worn look to it, as if everything has been used, and used for a long time, which hints at how long humanity has been stuck in space with no home planet. 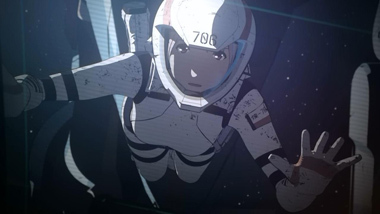 The first mission we witness has the new recruits retrieving ice from an asteroid, showing that Sidonia constantly requires food, water, and other resources in order to keep running and keep the populace alive. 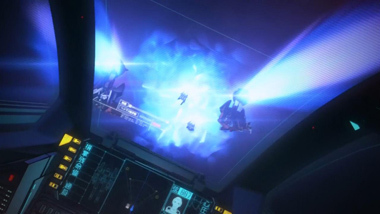 It's Hard Science Fiction in the truest sense as it's "hard" to stay alive in space, something you don't normally see. 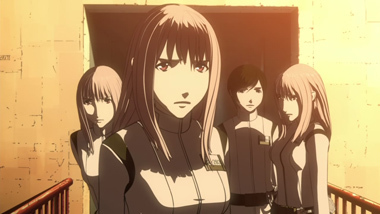 Sidonia itself resembles something that appears to have been carved out of the moon (craters and all); gravity appears to be fed from their movement, as sudden evasive maneuvers cause internal destruction and loss of life; humans have been genetically engineered to photosynthesize to reduce their food intake requirements, and through it all, there are secrets being kept from everyone for both political reasons and to keep the populace under control. 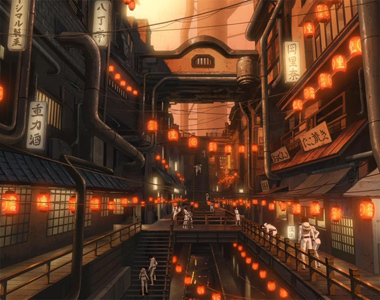 In short, it's the most original, best-looking, most well-written, most striking and exciting anime since "Attack on Titan", which says a lot, and also says that the folks at Netflix know a good thing when they see one. There is a second season in production and the current 1st season has 12 episodes. 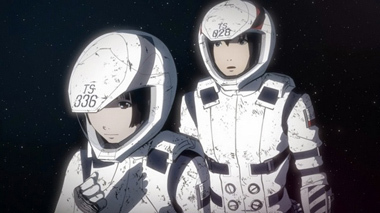 Knights of Sidonia is available via streaming on Netflix, and is definitely well worth your time. Note that the default is Japanese with English subtitles, but you can also watch it dubbed in English and Spanish by changing the "Audio and Subtitles" settings before you hit play in Netflix. 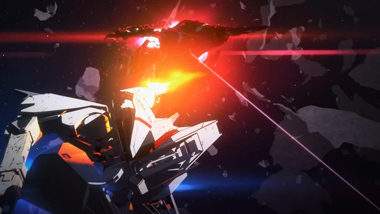 It's been a long time since anime has gone back to its Sci-Fi/outer-space roots, and this series does so in a way that makes me excited about anime again. 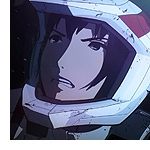 Below: Scenes from Knights of Sidonia. 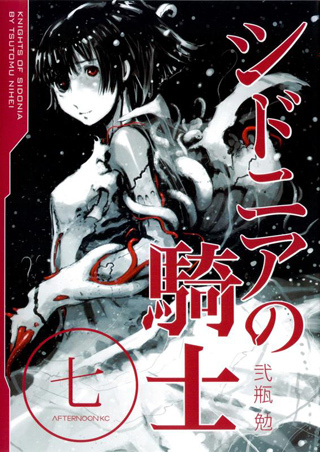 Below: Manga covers for Knights of Sidonia.